New industries emerged from the slave trade and the slaves’ production, including shipping and transportation, chemicals and textiles, banking, insurance and newspaper publishing. Within agriculture, the cotton crop was king. By the 1830s the United States was the number one cotton exporter in the world. Currency from the deep South tells an extensive story of enslaved Africans and the crop that bonded them, from planting to picking to loading to shipping. 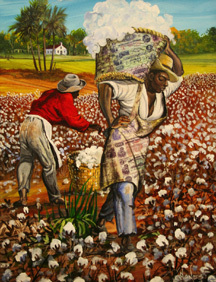 The image titled "Slave Carrying Cotton" was used on 21 different currencies. Notice how the features of the Slave Carrying Cotton, although female, emphasize the strength necessary to do the work of a man. Men, women and children were all valued property for profit. 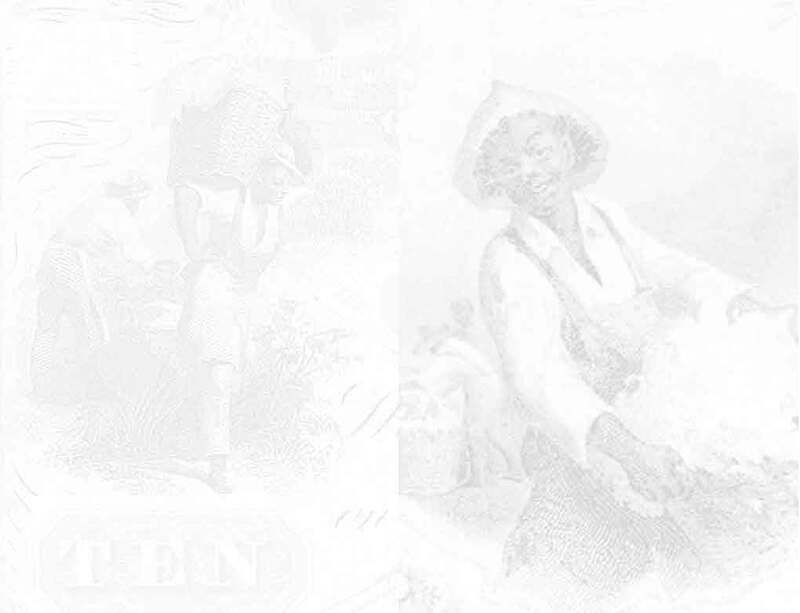 To view additional bank notes where this vignette of "Slave Carrying Cotton" was used, click on any note below.